Don’t Let Your Fruit Spoil! Cleaning out the fridge is one of my least favorite tasks. Reaching into the fruit bin, I pull out some disgusting clumps of blueberries that had spoiled. My heart sank. How did I miss these? Blueberries are a family favorite! But somehow these once ripe, vibrant blueberries were now shriveled up and rotten. It disappointed me to drop them into the trash can. But it didn’t stop there. A container with a handful of strawberries had been pushed to the back of the fridge. I slowly opened the lid and one-by-one investigated the condition of each strawberry. Three of them were covered completely in mold. They couldn’t be eaten. The other two were partially molded. Maybe I could cut off the rotten parts and save these two. But as soon as I held them in my hand I found upon closer inspection that the mold was more serious than I first realized. Into the trash they went. Plop! Right on top of the rotten blueberries. It disturbs me to have to throw away spoiled fruit. We paid good money for that fruit and now it was wasted. Past their ripe period, this fruit could no longer be enjoyed. During this mundane task, I felt God speak ever so clearly to my soul in that moment. Lisa, I have created my followers to bear fruit. I’ve given each one unique gifts and talents to further my kingdom, yet if these gifts aren’t used….they will spoil just like the rotten fruit in the bottom of your trash can. The part that struck me is the phrase fruit that will last. Wouldn’t that be nice? To have physical fruit that would last? No more shriveled up blueberries. No more molded strawberries. But in this verse the kind of fruit Jesus is talking about is eternal fruit. Fruit for His kingdom. Fruit that will point others to Him. Fruit that will outlast any edible fruit we could imagine. So how are we doing with bearing fruit for the kingdom of God? Are we even aware of the fact that He’s given us this command? Are we using the gifts and talents He’s blessed us with to point others to Him? Are we getting out of our selfish worlds and stepping into the lives of others to encourage them in the name of Jesus? If we are just standing still and letting time tick by, then we are wasting away like those shriveled up blueberries. If we are not letting the light of Jesus shine through us into the darkness around us, we are just like those molded strawberries in the back of my fridge. I don’t want to be like that! I don’t want my heavenly father to open his fridge one day to evaluate what’s in there, only to find that I’ve let something go to waste that could’ve been used for His purposes. I don’t want to regret not making choices that would’ve brought someone closer to Him. 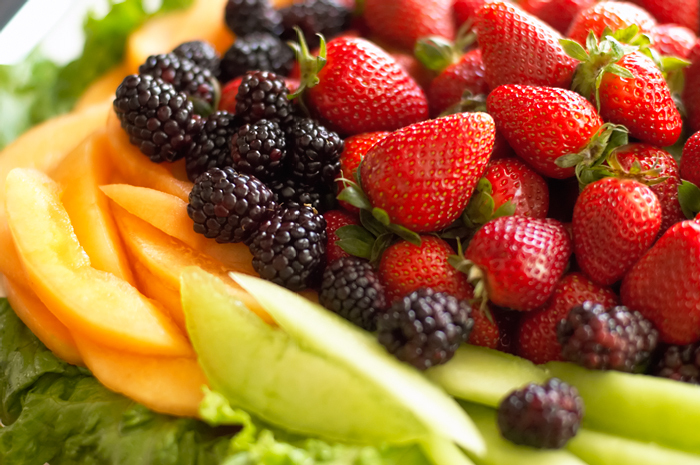 The reason we love fruit so much is because of the bright, vibrant colors that dazzle our eyes. The colors beckon us to pick up the fruit and indulge wholeheartedly. Fruit at its ripest tastes so very sweet! Fruit at its ripest is juicy and succulent. Fruit at its ripest makes our taste buds dance and satisfies us to the full. But once fruit is past the ripe stage, it’s just a matter of time before it starts to decay. The once vibrant colors turn dull. What once was sweet now tastes sour and unsavory. Just looking at spoiled fruit turns our stomach and repulses us. Dear friend, what kind of fruit do you want to be? Do you desire for your life to be vibrant, satisfying and full of light? A life that beckons others to run to Jesus? My prayer for us is that we would truly do as Jesus has commanded–to go and bear fruit…..FRUIT THAT WILL LAST! Great reminder Lisa! I just pray to be healthy fruit that He is able to use. To follow where He leads and quickly obey.